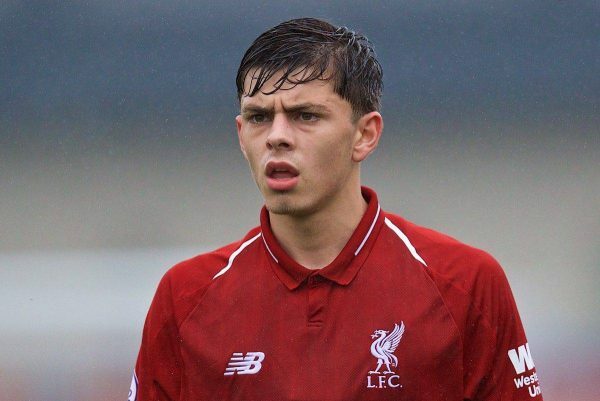 The Liverpool U23s were held to a 1-1 draw by West Brom in Group C of the Premier League Cup, with Niall Brookwell debuting on a difficult afternoon. Neil Critchley made four changes from the 1-1 draw with Brighton the previous weekend, as Shamal George, Conor Masterson, Matty Virtue and Lazar Markovic came in for Caoimhin Kelleher, Ki-Jana Hoever, Connor Randall and Rafa Camacho. An opportunity for the likes of Markovic, Pedro Chirivella and Corey Whelan to put themselves in the shop window, this clash was also a landmark for youngster Brookwell, who was named on the substitutes’ bench. A difficult start at Kirkby saw Masterson at fault as he misjudged a bouncing ball to allow Kyle Edwards through, with a shimmy from the 20-year-old beating George Johnston and allowing him to fire past George to give West Brom the lead. It was the Curtis Jones show as the young Reds pushed for an equaliser, with the 17-year-old constantly demanding the ball as they adopted a patient approach reminiscent of the first team. Liverpool lost another central figure before half-time as Liam Millar was forced off with a suspected thigh injury, with Glen McAuley taking his place for his 10th substitute appearance for the U23s this season. McAuley endeavoured up front as the first half drew to a close, but struggled for clear support as Markovic in particular failed to impress. The U23s were dealt another blow as Jones didn’t emerge for the second half after picking up a knock before the break, with Juanma taking his place and Adam Lewis shifting over to the right wing. 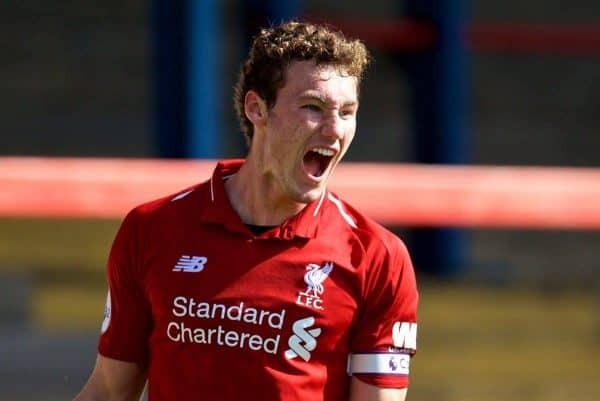 Despite losing their biggest spark, the young Reds were much-improved on their return to the field, with McAuley, Lewis and Markovic all testing West Brom goalkeeper Brad House. An error from House ultimately led to the equaliser, with a poor kick out from the back only finding Virtue, who marked his return from ankle injury with a brilliant lobbed goal from 40 yards out. The game opened up afterwards as both sides pushed for a winner, and Lewis thought he had secured one for Liverpool only to see his strike ruled out for offside. Brookwell replaced Virtue with 10 minutes to play to become the third 16-year-old to play for the U23s already this season, after Hoever and Fidel O’Rourke, but he was unable to taste victory on his debut.